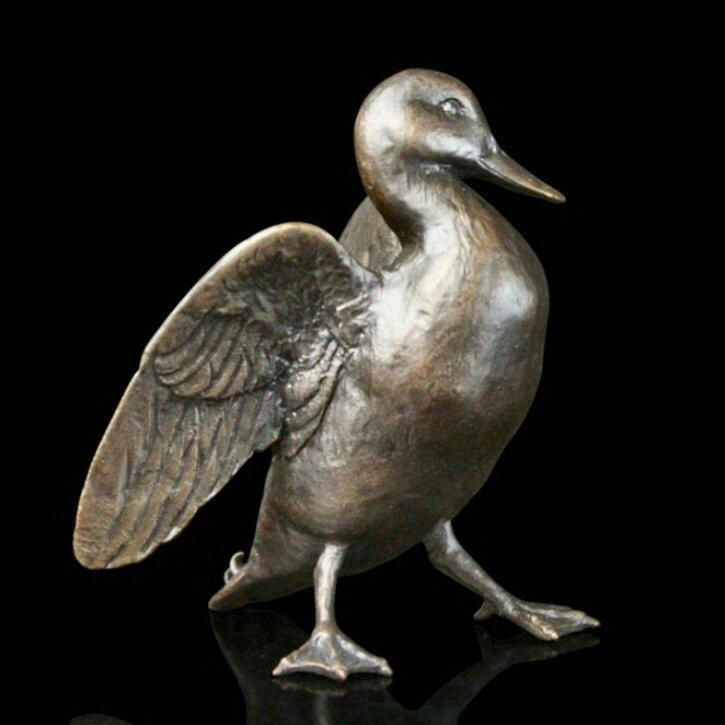 A mallard in solid bronze by renowned wildlife sculptor Michael Simpson. A species of duck that has thrived in urban areas, this ubiquitous pond and river dweller is well known to us all. This finely detailed bronze, limited edition sculpture would be a charming addition to any collection of fine art bronzes.